Good news! Conventional and FHA Loan limits have just been increased earlier this year. 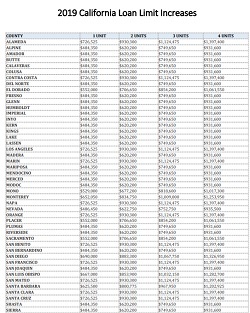 NOTE: The maximum FannieMae loan limit for Sonoma County is $704,950; this is their high balance loan limit. Their conforming loan limit with a slightly lower interest rate is $484,350 for Sonoma County.